Situated on the banks of river Krishna Vijayawada is an important junction and link between North and South. The 4014 feet Prakasam Barrage across the river has created a lake and its three irrigational canals flowing through the city add beauty to it. This place was formerly referred as Benzawada.There is number of tourist?s spots having religious, archeological and historical importance. Most of the cottages villages around have developed cottage industries in specialized items like toy making, cotton weaving, fabric painting, gold covering and fruit processing. Vijayawada about 257-km from Hyderabad and is located on the banks of the Krishna River, and is bounded by the Indrakiladri hills on the West and the Budameru River on the North. Puranic stories of Vijayawada narrates that the department of archeology discovered pre-historic remains belonging to the stone-age man all along the banks? of the river from Machilipatnam to Nagarjuna Sagar thus prooving the life of stone age man in the river valleys of Vijayawada. "The Place of Victory" which is the literal meaning of Vijayawada has a legend behind its name. It is believed that Vijayawada was established by Arjuna around the Malleswara temple and Indrakiladri hills in commemoration of Lord Shiva?s Darsan he had. Also from history we get to know that this region was ruled by the Chalukyas of Kalyan and the great king Krishna Deva Raya for a very long period influencing the cutlure and society of the city. 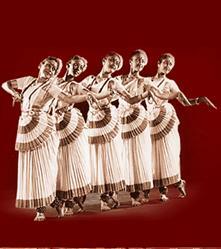 There are records showing which says that Vijayawada was also visited by foreign travellers like Hu-yan-Tsang. The church is situated on a hillock on the eastern side of the city. A grand annual Feast of Our Lady of Lourdes is held every year which attracts people of different region. 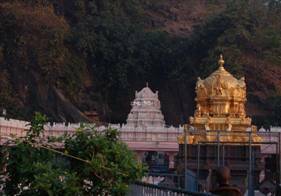 Mangalagiri located 13km south of Vijayawada is famous for the renowned temple Lakshmi Narasimha, one of the nine incarnations of Vishnu. 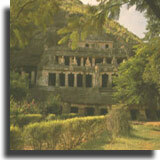 This temple built by the Reddi Chiefs in the 14th Century on a hillock was remodeled in the period 17C to 18C. This famous temple is on the Indrakeeladri Hill situated at the entrance of the city.Inscriptions belonging to different dynasties are found in the temple. The festival of Dussehra is celebrated here colourfully every year. A large number of pilgrims attend the celebrations and take a holy dip in the river Krishna. 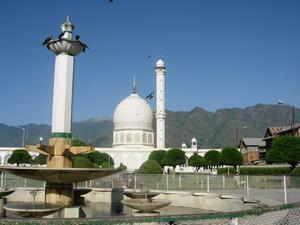 A holy relic of the Prophet Mohammed is kept here and displayed for public viewing once a year. A large number of muslims and non-muslims join the celebration. 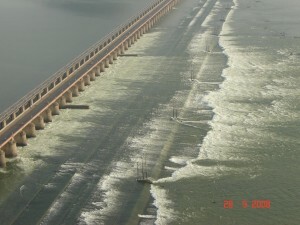 Built across the river the river Krishna, Prakasam Barrage has created a panoramic lake. The three canals that run through the city give Vijayawada a Venetian look. 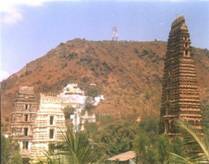 Situated around 16 Km from Vijayawada, Kondapalli Fort is a popular picnic spot among the locales. 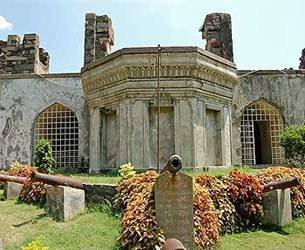 The fort, dating back to 7th century, was built by King Krishna Deva Raya and served as a business center in its earlier stages but was later converted into a military training base by British. Kondapalli village is not only famous for the fort but also for the handmade toys. Made of light wood they are exported to other countries as well. Developed by the Vijayawada municipal corporation with great care and interest, the park welcomes the tourists with its impressive horticultural network. A mini zoo and a water fountain are among the other attractions here. The first Gandhi memorial with seven stupas in the country was constructed here at a height of 5oo feet. This was unveiled by Dr.Zakir Hussain,the then President of India on 6th October 1968.Gandhi memorial library, sound and light show on Mahatma Gandhi's life and planetarium are the other attractions. These caves are said to be excavated in the 5th century AD. The idols of Lord Nataraja, Vinayaka and Ardhanareeswaran exist here. 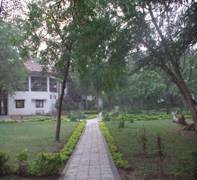 A place for archeology lovers, the museum has a carefully preserved collection of ancient paintings, sculptures, idols, weapons, cutlery and inscriptions. The state government has plans to convert this 133 acre land in the river Krishna into an attractive tourist spot. Journey to the island by boat is very pleasant. This is 8kms from Vijayawada and is said to be carved in the 7th century A.D.This double storeyed caved structure was used as a rest house by Buddhist monks. A huge monolith of the Lord Buddha in the reclining posture is a magnificent sight. This is the place from where the famous Kuchipudi style of dance was originated.It is 60-km from Vijayawada, and is the birthplace of Siddhendra Yogi, originator of the Kuchipudi style of dance. The village is in an area known for artistic divine and literary pursuits. Vijaywada is a place where the shopping list is quite big, ranging from handloom products, handicrafts, furniture to pearl jewelry, silver jewelry and textiles. Apart from these, there are also things like exquisite antiques, leather goods, pearls as well as semi precious stones. A visit to Vijayawada should not be without the beautiful and famous Kondapalli and Machlipatnam toys.Kalamkari paintings and kalamkari works should also be a must in the shopping list. The main shopping area includes MG Road, Eluru Road, Besant Road and Governorpet. Other than these popular places, there are a number of shopping malls and market places in Vijaywada where you can shop to your hearts content. Vijayawada airport is located at Gannavaram, which is about 20 km away from the city. Regular flights services are available from Vijayawada to Hyderabad and Visakhapatnam. International travelers have to get connecting flights from Hyderabad. The largest railway junction of the South Central Railway, it is well linked by a number of express and super fast trains to and from all the major cities of India. Situated at the crossroads of National Highways 5 and 9 and a network of good motorable roads, it is well connected with the major cities of Andhra Pradesh and India.